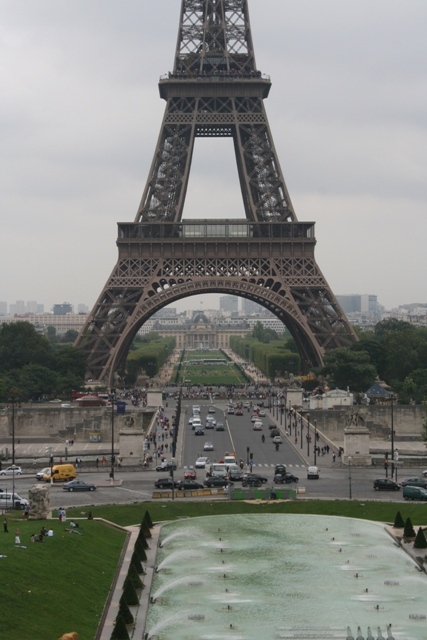 Impressive, exciting, a must-see and the place in Paris Son was really desperate to visit – the Eiffel Tower. I totally get that. For me, few things symbolise this city quite like it. 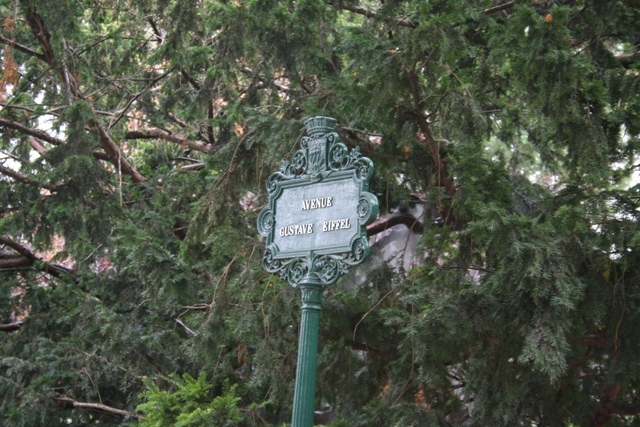 The architecture is amazing and you can see it from almost any vantage point in Paris. We could walk to the Eiffel Tower from our hotel, so packed in a few visits and saw it at different times of the day (and night). First time we got there Son was wowed. 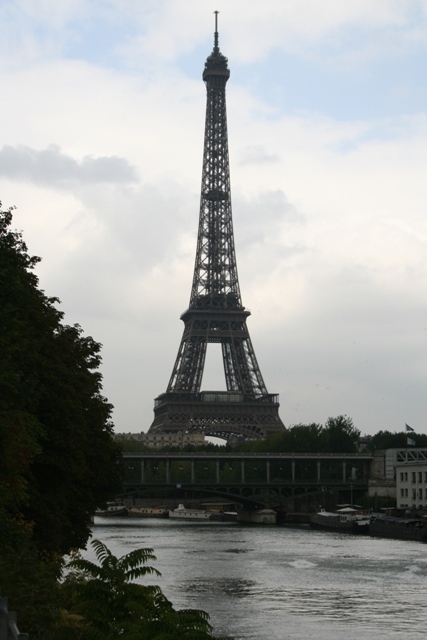 It is big – 1030 feet high and was the world’s tallest structure until 1930. Hard to believe too that it was never intended to be permanent. It was the entrance to the World Fair of 1889 and they planned to take it down straight afterwards. Funny how things turn out, today it is the symbol of Paris and probably one of the most recognised structures in the world. It is impressive from any distance and any angle. We walked to the Trocadero and got some good views from there. However for me, the most amazing sight is when you stand right underneath and look up. You can totally appreciate what a breath taking feat of engineering this really is. Built entirely of iron, it weighs 7,000 tonnes but the pressure it applies to the ground apparently, is only equivalent to that of a chair with a man sitting on it. It was super busy around the tower, so many tourists, so many street vendors selling tacky souvenirs and so many con artists. We kept a tight hold of our belongings – you just need to be aware at all times. We left with our very own tacky souvenir too- Son fell in love with an Eiffel Tower key ring, it became his most treasured possession from Paris and still takes pride of place on his bookshelf. 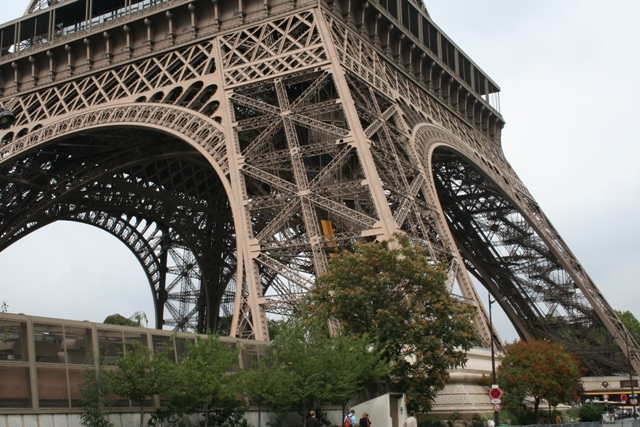 We booked in advance to go up the Eiffel Tower in the evening when it was dark – around 8.30. This was supposed to be a good time crowd-wise, but we did still have to queue for 45 minutes before we got in the lift. We had an incident at the metro station beforehand where we were targeted by pick pockets. Husband was quick off the mark, they ran off empty handed, but it left us a bit unsettled. Eventually it was our turn for the lift, vast numbers of people crammed in on top of us, but actually we got a reasonable view as it glided up to the first level. You can use the steps and walk up, I have done this in the past and it’s not arduous, but with a 3 year old we opted for the easier option. The first floor is 57 metres high – we didn’t go any higher. You get a 40 mile view and with the twinkling city lights it was beautiful. Difficult to distinguish any landmarks though views are supposed to be best half an hour before sunset, when the light is kinder to cameras. What we did find was we had the whole of the platform to ourselves – everyone went higher, so this was great. It was peaceful, quiet and memorable. Impressive by day, magical by night we fell in love again with the Eiffel Tower. Son was thoroughly delighted when it started to “twinkle” as we walked away, he is still talking about that! Thank you for the post. Your pictures are beautiful. So sorry to hear about your experience with the pick pockets, a good reminder for when my husband and I go in October. Did you notice the food options on the first level? We’re trying to decide where to eat when we go to the Eiffel tower. I think if you are on alert, then it will be fine. We were lucky they ran off empty handed and it really didn’t spoil our trip at all. We went back to the area where our hotel was located and ate there that night, can’t remember the food options at all, sorry about that! Hope you find somewhere nice to eat though. It was lovely being away from the crowds and having it all to ourselves. I think the view can’t have been that much better further up as well! I am envious – would love to be going back in the summer Brian! Thank you for reading. It’s lovely at night – the light make a stunning view, would definitely recommend it. oh, Paris ❤ Is my favorite city so far, I've been there 3 times and I still dream every day about going again, hopefully this summer. I see the weather wasn't on your side 🙂 The Eiffel Tower looks very dramatic surrounded by gray clouds, but it still gives me happy feelings looking at it. I am glad to hear the pickpocket incident finished well, it's unfortunate that this happens, because it can ruin a trip and leave a bad feeling. I am a little paranoid when I travel and always keep my purse tight, in front of me with a hand on it. I agree Corina, I just love Paris too and could go there every year no problem! 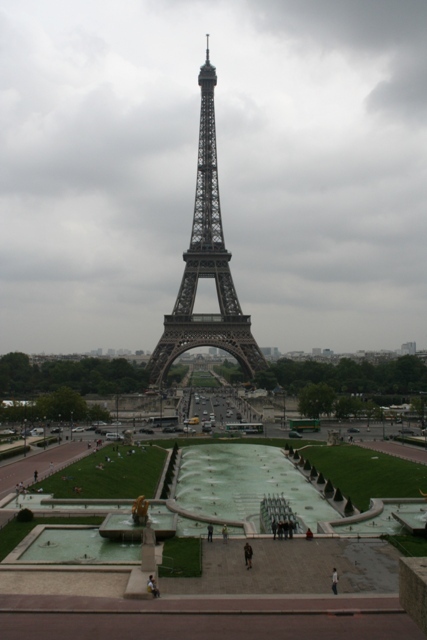 We had mixed weather, but every time we went to the Eiffel Tower it poured with rain. Even that didn’t spoil things though. The pickpocket experience just made us a little bit more careful, sometime I think we need that! Great post! I’ve been there, but now I revisited 🙂 Thanks! Thank you – the weather wasn’t too kind but at least we got pics! It really is gorgeous at night – the light make it look so much different to the daytime. Glad the pickpockets didn’t get their way! They are usually looking for easy pickings and/or a fast getaway I suppose. Pays to be careful. Sometimes gives you a wake-up as well, it made us more alert for sure. I love your writing! 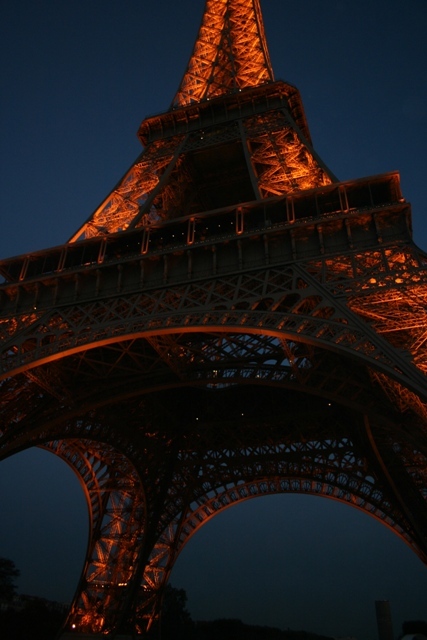 I really want to visit the Eiffel tower at night. Thank you – it is really lovely at night, the best time (I think) to see it! 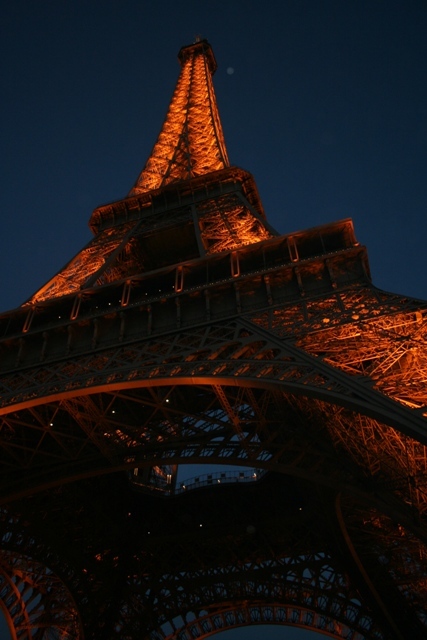 No but I wish we had….like you it will be something to try next time we go to Paris for sure.